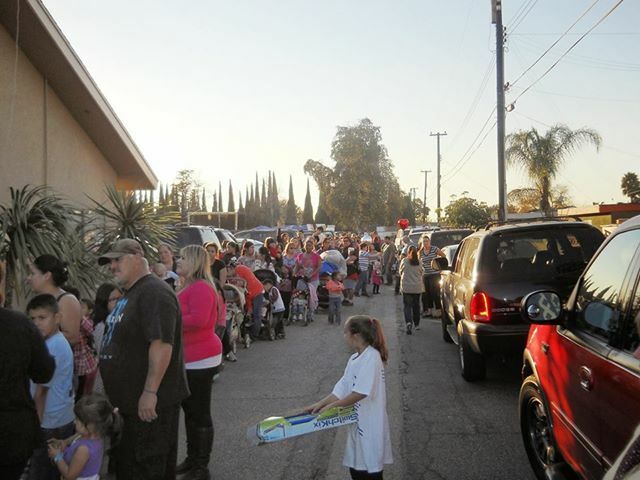 Xclaimed Ministries gives away free toys, clothes, food, home decor items and a message of Hope. 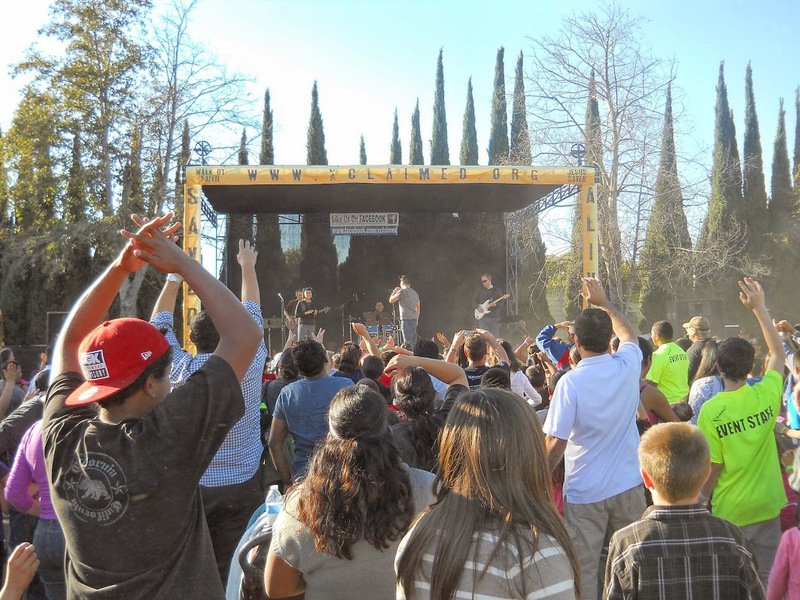 Stanton, CA, December 17, 2013 --(PR.com)-- Xclaimed Ministries served the community with their 5th Annual Christmas Festival. Close to 1,300 people attended the event hosted by the ministry that consists of less than 40 adults. Children from Stanton, Anaheim, Buena Park, Cerritos, Westminster and as far away as Palm Springs attended this event to receive free toys. 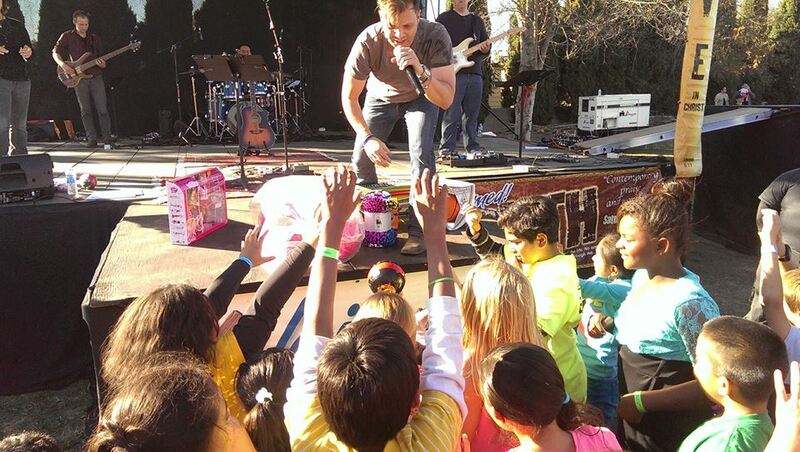 The multitude of toys they were able to give away consisted of Disney Tangled Electric Quads for children 5 and under, Barbie doll sets, footballs, scooters, sporting supplies, toy construction sets, Pillow Pets and much more. Twenty-one children received new bicycles, hundreds received free admission to Adventure City Theme Park and every child went home with no less than two toys each. This year the Ministry made arrangements with The Home Depot and Bed Bath & Beyond which allowed them to provide home decor items for families. Adults could choose from items such as comforters, bedding, towels, a washing machine, home security doors, sprinkler systems, wet tile saws, tools, kitchen cabinets, decorative bathroom items and gardening equipment. Paul Karanick, Xclaimed Ministries co-founder, said, "We are a small ministry, but together with the approval from the City of Stanton and donations from The Home Depot, Bed Bath & Beyond, Guess Jeans, Nike, Mattel, The Disney Store, Original Tommy's Hamburgers, Adventure City Theme Park, other neighboring churches and businesses, we are able to help people achieve sustainability in their lives and help in the building of stronger communities. 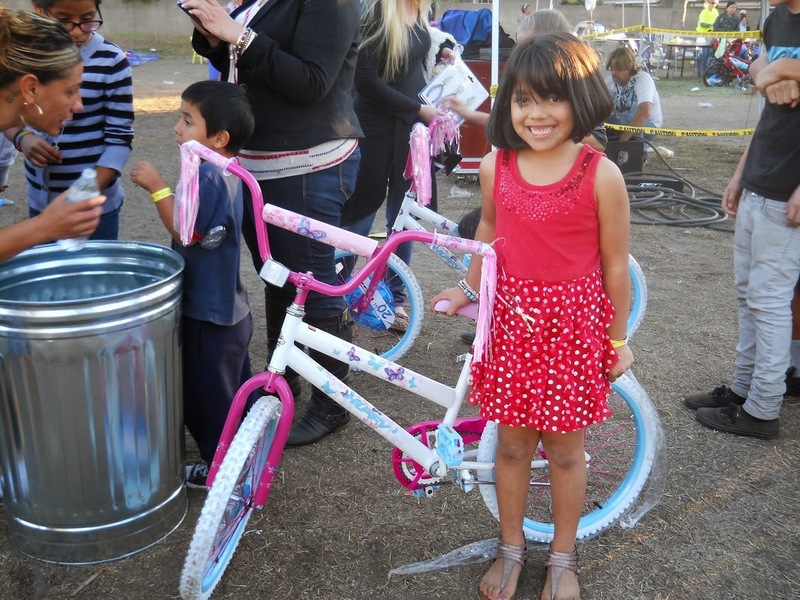 Even though our Annual Christmas Festival is the largest of the events we put on each year we always produce a minimum of 4 events a year, giving away toys, food, clothes and other items similar to this event. People need help all year long and we want to provide help and resources for them." Karanick said that as one family was leaving the property, the father expressed his appreciation for what the Ministry was doing. He told him that they look forward to these events and that they have helped his family tremendously in strengthening his marriage, finances and confidence in the future. Norman Moore, an Evangelist for over 30 years with Norman Moore Ministries and the Church of the Nazarene, attended this event on Saturday. 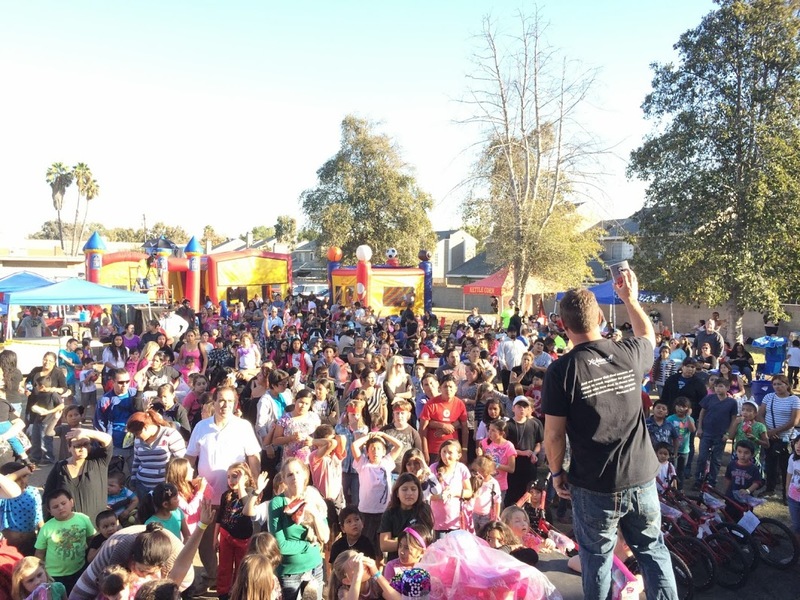 Moore said, "Paul Karanick delivered an inspiring Gospel message to the extra-large crowd; with many responding to the invitation to come forward for prayer to receive Jesus Christ. The service was especially blessed with the music ministry of Chaze Karanick and the Xclaimed Band. All the volunteers have combined their efforts to significantly influence thousands of needy people through their events! Paul Karanick 's keen insight into the needs of people has resulted in his Xclaimed Ministries, Inc. and its powerful impact through these large events. I'm glad that I could be there Saturday." Sandee W*, a local resident who attended the event, posted on Facebook, "This is the third year my grandchildren and great-grandchildren went to this and they absolutely love it and thank God for you people." 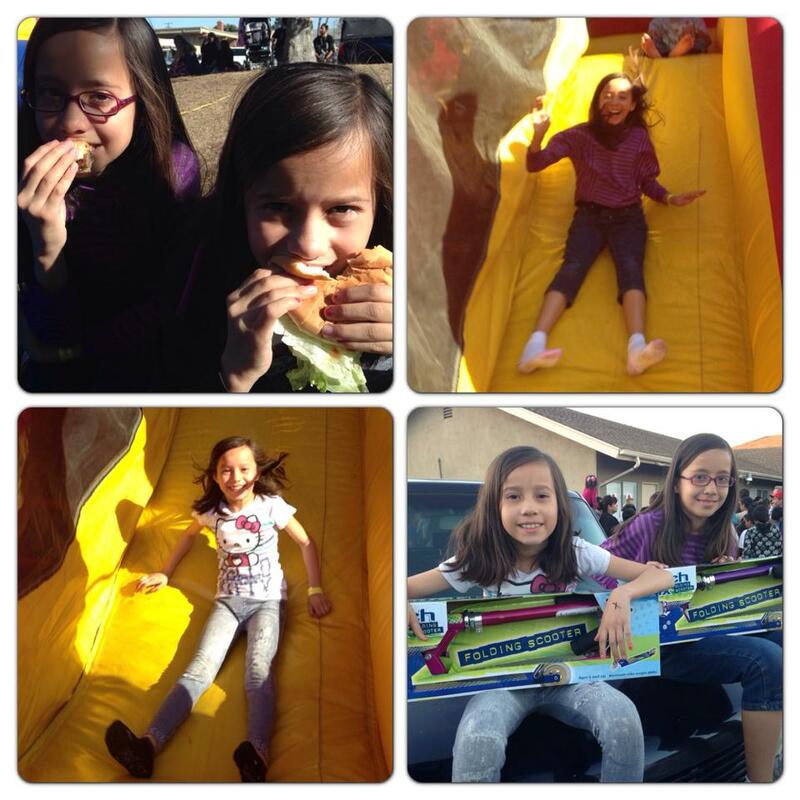 Beverly C*, a local resident who attended the event, posted on Facebook, "I absolutely appreciated everything u guys did for the community, my kids had lots of fun, so did my father and sister! Thank u guys for all the gifts and tons of fun! Merry Christmas and god bless u all." Karanick said, "In just a few hours we were able to provide free food, toys, clothes, home decor items, a contemporary Christian concert and a Message of Hope through Jesus Christ. People can see that we genuinely care about them and that we are here to help. For our ministry, we are overjoyed that over 10% of the people asked Christ into their life (best Christmas Gift ever!)." 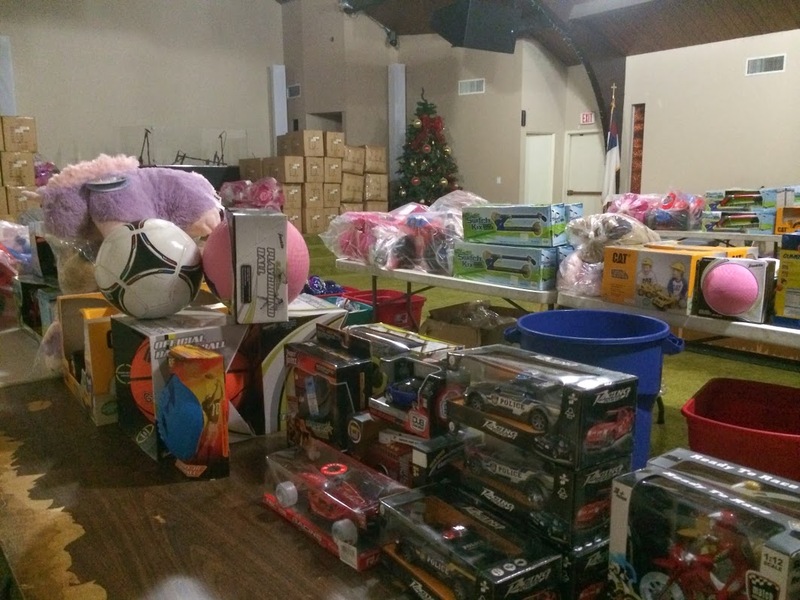 Thousands of toys ranging anywhere from Disney Tangled Electric Quads to Mattel Barbie sets.